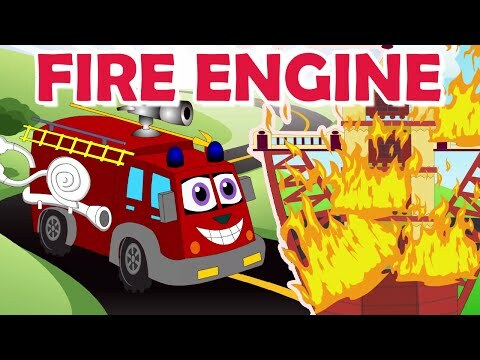 Fire Engine Cartoon Video for Kids and Children where we assemble a toy fire truck from our new virtual construction set. Children will learn the main parts of the fire engine such as crew cab, grab handles, tower ladder, water pump, deluge gun, and outriggers, etc. Hear the real fire engine siren and horn, enjoy energetic music, and watch our toy fire truck responding to the emergency call and rescuing a blazing house! Make sure to Like and Subscribe to our Channel Cartoon Rhymes for more exciting videos and Rhymes for Children.